Texas abounds with field trip opportunities, especially in the Houston and Dallas metropolitan areas. Homeschoolers living in Texas looking for field trip opportunities can choose from a rich history and many technology companies within driving distance. In addition to this general field trip list we recommend going to your local city webpage for more unique field trip lists of places to visit. To add your field trip resource or review of your homeschool field trip, please add in a “Comment” at the bottom of this page. All comments are moderated before they go live. 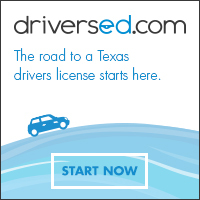 Texas teen drivers ed online is the fastest way to get behind the wheel and start in-car training. Sign up and start our TEA-approved course today! A2Z’s 15% Discount Applied! The Visitors Center offers daily tours of the research facilities and solar viewing programs as well as evening “Star Parties.” 3640 Dark Sky Drive, Fort Davis, TX 79734, (915) 426-3640. You will relive the past achievements of the space program and witness today’s history in the making. 1601 NASA Road One, Houston, TX 77058, (281) 244-2105. Guided tours are available Tuesday through Sunday, from 1:00-4:30 p.m. 802 San Marcos St., Austin, TX 78702. (512) 472-8180. Authentic film footage, artifacts, photographs and documents show life in pre-war Europe, the Nazi move toward the “Final Solution” and life after the Holocaust. HMAAC is a museum for all people. While our focus is the African American experience, our story in Texas informs and includes not only people of color, but people of all colors. The museum provides year-round public viewing of its permanent historical and cultural exhibits. Free admission. 2313 Red River St., Austin, (512) 721-0200. Learn about the history of Dallas county through a series of workshops designed especially for homeschool families. Children are encouraged to play with traditional toys and to try on garments from historical eras. 100 S Houston St., Dallas, TX. Sign up through group sales, Janel Khan: 214-757-1949. Travel back in time at Central Texas’ premier living history museum, where your journey begins on our three historic farmsteads and in our unique history programs. 10621 Pioneer Farms Dr., Austin, (512) 837-1215. The Capitol Visitors Center is located at 112 East 11th Street (southeast corner of the Capitol grounds) in the restored 1856-57 General Land Office building. The Capitol Visitors Center encourages educators to bring students for guided tours of its exhibits. (512) 305-8400. Interactive site with recommended factory tours in Texas. Add your own favorite tour and write a review. 232 acres of protected natural habitat featuring a jade green pool into which a 50-foot waterfall flows. Located about 30 miles west of Austin at 24300 Hamilton Pool Rd., Dripping Springs, TX 78620. Reservations for the guided nature tour can be made by calling (512) 264-2740. The first Monday of each month will be dedicated to home school students, ages 5 years and up. A newly created program will provide learning in an outdoor classroom (weather permitting), a guided nature walk and a hands-on activity. Cost is $20 per student, siblings in same family $15 each. Pre-registration is required. 8 student minimum. 20 student maximum. 4501 Woodway Drive, Houston, Texas 77024. (713) 681-8433. Major discoveries made here daily. One Hermann Circle Dr., Houston, (713) 639-4629. A 5,500 acre ranch that has been described as the largest habitat restoration project on private land in Texas. Educational and interpretive services. 2341 Blue Ridge Dr., Johnson City, TX 78636. (830) 868-2630. We are a non profit education exotic wildlife facility. We are a zoo held to the highest standards of quality and health by the USDA. We have a huge homeschooling following in our area. 11670 Massey Road, Pilot Point, TX 76258. (940) 686-4600. Visitors can tour the exotic game ranch complete with approximately 800 acres that is home to more than 1,600 animals from 30 different species. South of Austin. 11508 Carl Rd., Buda, TX 78610 (800) 375-8375. Dine on our traditional Mexican/American Fajita Buffet while viewing the awesome beauty of the Colorado River Canyon. Enjoy waterfalls, towering cliffs, abundant wildlife and the many scenic vistas along the river banks. 443 Waterway Ln., Burnet, TX 78611. (800) 474-8374. Founded in 1974 to protect 227 acres of pristine Texas Hill Country and to provide nature education programs. Loop 360 bridge over Lake Austin. 805 N Capital of Texas Hwy., Austin, TX 78746. 512-327-7622.